fad is ag falróid a bhí mé. Cé bhí ag caint? Cé bhí ag éisteacht? Cé bhain aoibhneas as an staid sin? all the while I’d been walking. Who was doing the talking? Who got such a buzz out of it? 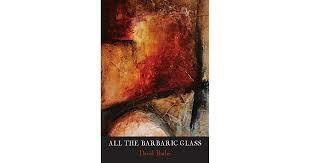 David Butler‘s second poetry collection, All the Barbaric Glass (Doire Press) will be launched on Thurs March 23rd at the Irish Writers’ Centre.